The dark of night is the perfect camouflage for criminals looking to swipe valuable merchandise from commercial property. Auto dealerships, retail space, and construction sites are all vulnerable places when the sun goes down. Because of the increased chances of criminal activity, these commercial spaces ramp up security after business hours and a big part of that night-time surveillance is thermal security cameras. While not the only tool for protection, thermal camera surveillance is a major part of what keeps criminals away at night. Here’s how it works and why it could be the right option for your own commercial property. 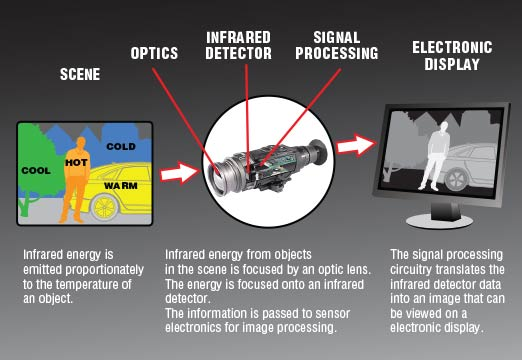 Thermal imaging uses dense heat signatures instead of light to create an image. The infrared light detected is translated into electric impulses, which are in turn translated into data. 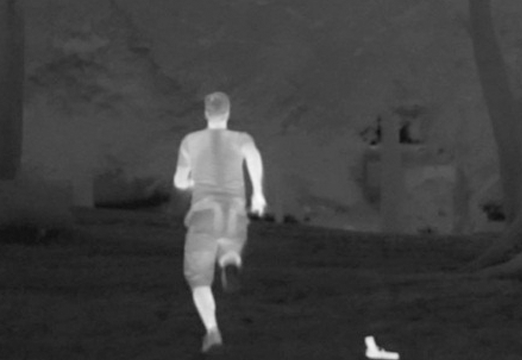 It is commonly associated with “night vision” and allows cameras to see the heat from objects, especially people, in the pitch black. This has the obvious security benefit of spotting criminals at night when they would otherwise be hidden. Lights consume energy, especially when they blanket a large commercial space. Placing a high-power light (even if it’s an efficient LED) along every nook and cranny of your property and running them 365 nights a year will take a toll on your electric bill. 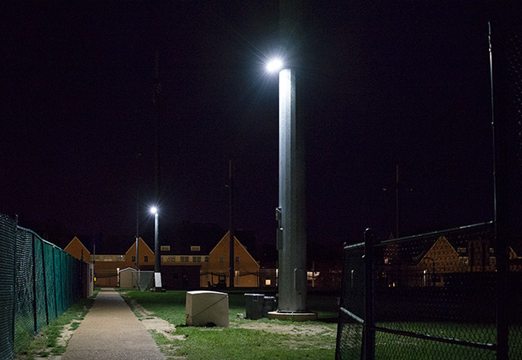 Thermal cameras mitigate these costs by covering large areas in low light so you can focus property lighting on high traffic areas like entrances and exits. What do criminals love more that night time for natural camouflage? A nighttime storm. Rain, fog, and snow are all elements of the weather that can ruin the visibility and range of traditional cameras, but thermal security cameras will see right through the worse weather and pick up the heat signatures of anyone trying to sneak onto your property. Increased range equals faster detection, which equals quicker response. The goal is to stop criminals before they enter your property and thermal security cameras can help spot and address threats sooner than traditional security. Most thermal camera surveillance is connected to a dedicated network that can respond to threats like these immediately. 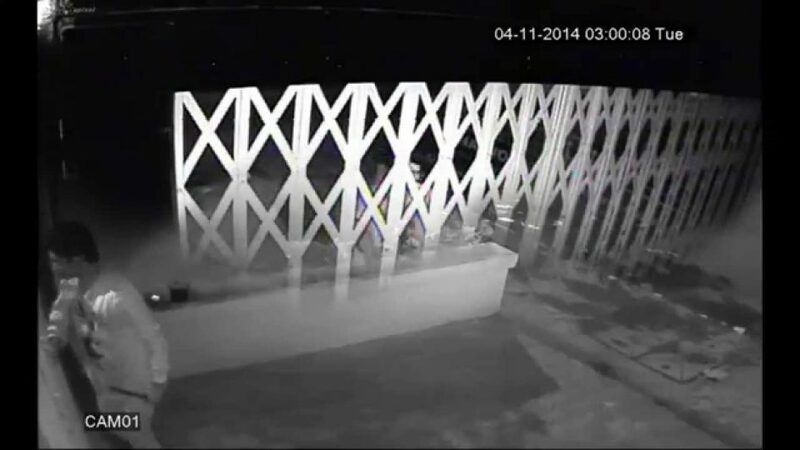 Over time, thermal security cameras collect and analyze data that traditional cameras cannot. 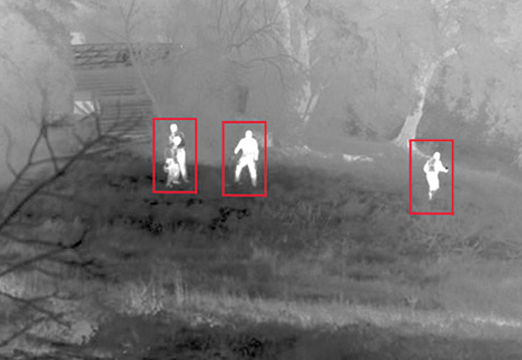 A typical camera can’t identify an intruder in a mask, but a thermal camera can help differentiate heat signatures between people. 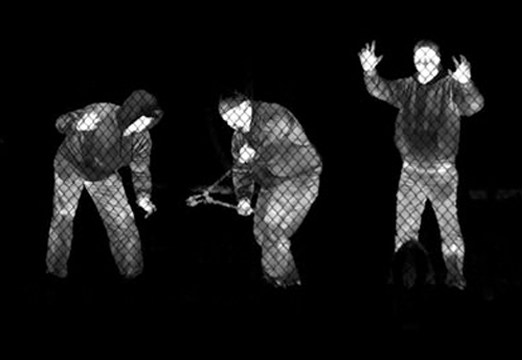 The courts are still catching up to the technology, but thermal imaging is now playing a big role in prosecuting criminals. 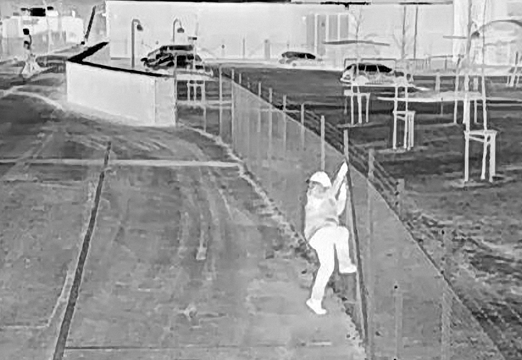 Lights and other grandiose displays of security make a great deterrent, but thermal cameras can create a security perimeter around your property that give criminals a false sense of confidence when attempting a robbery. For some, it’s not a matter of if, but when, they make a move on what’s behind your property’s fences. So giving them a false sense of confidence can lure them into a trap that will ensure they never make your property a target again. Thermal security cameras aren’t the solution to replace every aspect of your property’s security. Virtual guards, floodlights, and fences are all great options that are only enhanced by having thermal cameras as part of a comprehensive security system. When you have the ability to literally see what goes bump in the night, criminals don’t stand a chance.